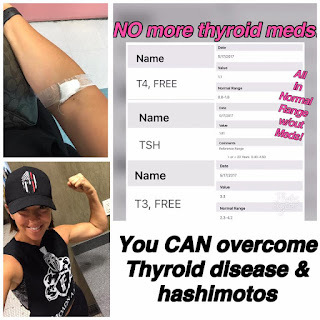 Fit Fluential Mom: No MORE Hypothyroidism & Hashimotos! No MORE Hypothyroidism & Hashimotos! Needless to say, I was nervous when I was due for my first blood test to check levels after that but I couldn't wait to see results . So, email (ellieperico@aol.com), send me a message on FB (Ellie Perico) or text me (818-632-6969) and let me help YOU get off those meds and feel better too!